Ever since they were kids, Gino and Piero had a secret dream: open a restaurant. 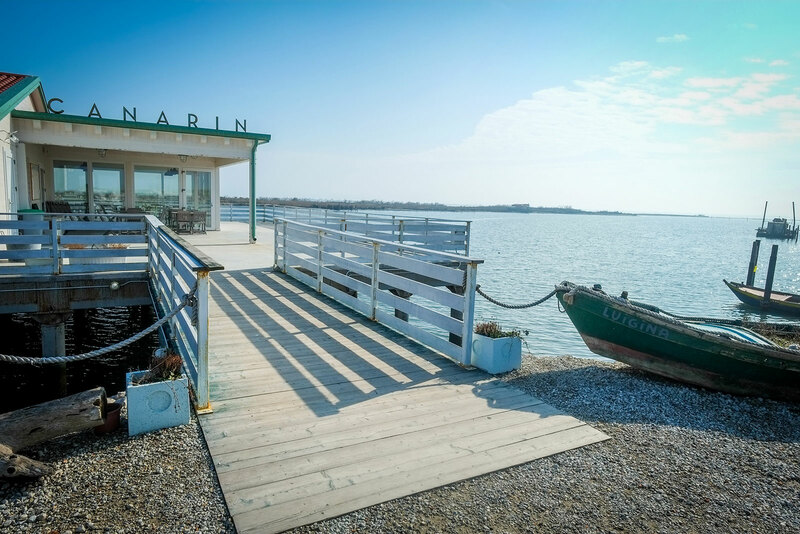 In November 2003 they make it come true, together with their wives Sabrina and Sandra, they open the “Canarin”, a suggestive stilt house, within the Polesine area, in Porto Tolle. The name is a tribute to the small straws emerging from water. Initially focused only in supplying the fishermen’s breakfasts, who daily populate the Canarin lagoon looking for clams, they soon realize that they have to propose also lunch and dinner. The success is also immediate, thanks to their signature dish ”il gran fritto Canarin” (big fried dish). 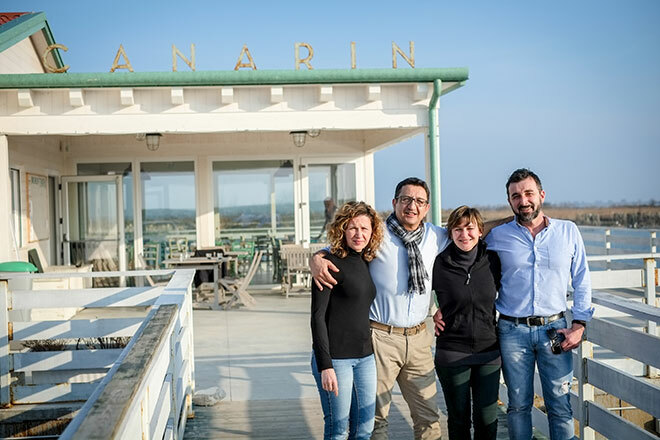 Franco Zanellato, their childhood friend and nephew of the famous first innkeeper in Polesine :Blandina Ermenegilda Bergantin Zanellato, fell in love with this project and contributed to the birth of the newest “Canarin”. On June 28th 2014 they inaugurate the new stilt house, modern and bio, completely revisited thanks to an expert work of design. Today the Canarin keeps and allies the traditional cooking of good fish with a touch of modernity, which make of it indeed unique dishes.